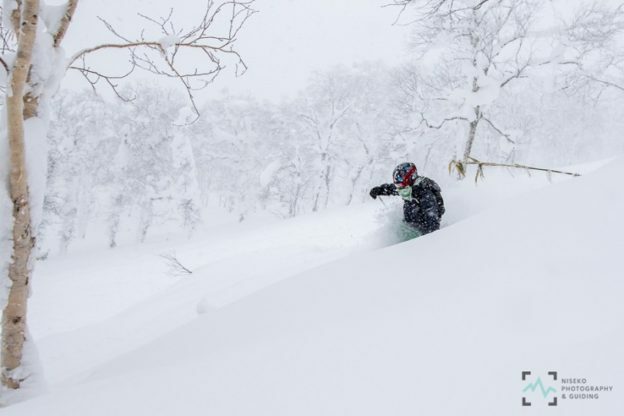 We are now in the middle of the Northern hemisphere ski season, and from all accounts, there has been plenty of snow in all the major skiing destinations. As the end of the school holidays approach, families are returning to Perth and we’re beginning to see the usual surge of ski related knee injuries. The majority of injuries to the knee involve the anterior cruciate ligament (ACL) or the medial collateral ligament (MCL). Just this week, we saw a family that had returned from Japan where both Mum and Dad injured their ACL. Despite that, they’re already planning next year’s ski trip! Most knee injuries occur in fatigued skiers. This often corresponds to the middle or end of your holiday and later in the day. It’s a common misconception that you need to be going fast to injure yourself while skiing. In actual fact, most knee injuries occur at low speed, often while turning at the bottom of a run when the knee is over rotated. How do you know if your knee is severely injured? This is normally it is pretty obvious to the skier. If you’ve heard a crack or pop then you have ruptured something, and severe pain or the inability to weight bear suggests significant damage. A knee that feels unstable or gives way usually means a ligament is torn, and swelling in the knee post-injury may signify bleeding into the joint – an indicator of severe injury. I have injured my knee skiing, what should I do? If after the injury, you’re unable to ski, the knee is swollen, feels unstable or is very painful, then it is worth seeking medical help whilst still on holiday. 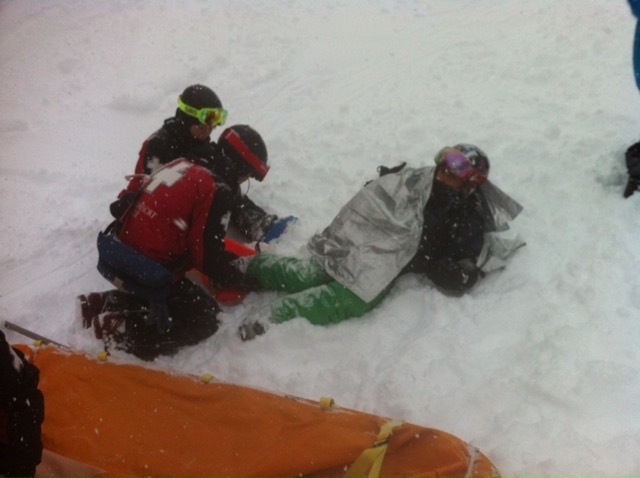 The ski patrol may have been involved in helping you off the snow, in which case you will usually be assessed at the ski resort medical centre. The staff here will be very experienced in knee injuries and can usually make an accurate diagnosis. If this hasn’t occurred, a lot of ski resorts now have physiotherapists or medical centres nearby where you’l receive an excellent knee diagnosis. You’ll usually need crutches and a splint, plenty of rest, ice and elevation of the injured leg. I have been told I have ruptured my cruciate, what should I do? Early on, it’s all about getting comfortable and reducing the swelling. That means rest, ice, compression, and elevation. There’s no hurry to have your ACL fixed, and certainly no need to have it fixed overseas. Most travel insurance companies will allow you to upgrade your return ticket to a class that provides you with additional leg room, so it’s certainly worth contacting them. We are very used to liaising with injured patients while on holiday, so don’t hesitate to email or call us and we can arrange any scans and appointments as soon as you return to Perth. Get fit: Skiing is physically demanding. Doing some leg strengthening exercises (running, walking, cycling, cross training) in the weeks leading up to your trip is a good idea. Avoid fatigue: If your legs are aching, have a rest day. Alcohol at lunch: Always a bad idea. Insurance: Comprehensive overseas travel insurance is now very affordable and a wise investment.